John brought this to dinner, a very mellow, fresh tasting blackberry fruity wine named after a mountain near Montpelier in Languedoc. 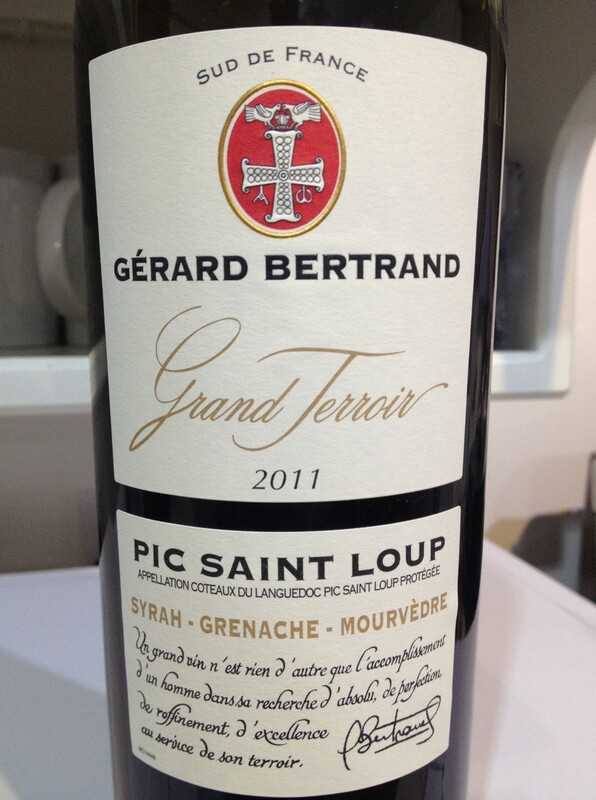 Gerard Bertrand, wine notes here, owns 6 wineries in the Languedoc (including Chateau l’Hospitalet / Maison Bertrand) and was once Captain of Stade Francais. €11 in Dunnes. This wine is always reliable & enjoyable. 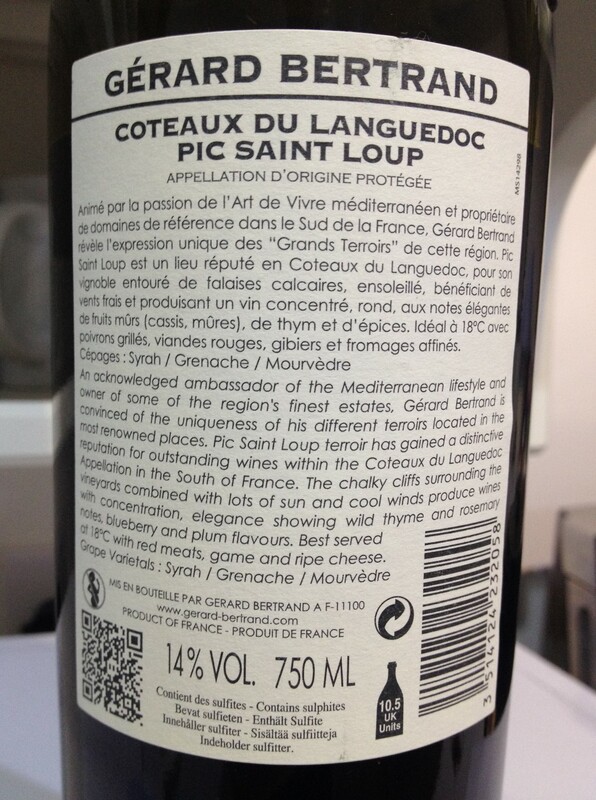 A blend of 30% Syrah, 30% Grenache, 30% Carignan and 10% Mourvedre according to the label. Opaque in the glass – almost squid Ink coloured. Oak aged, good legs, vanilla nose with lots of fruit and lovely aftertaste. You can read more about the Chateau Millegrand which used to be part of the Bishop of Carcassonne’s Estate, here. and is part of the BonFils “empire”. 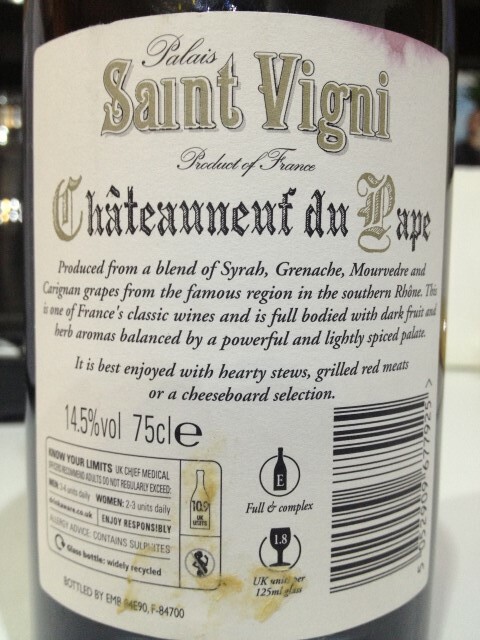 A very refined Chateauneuf du Pape from Jean Claude Fromont and this looks like a Tesco exclusive. 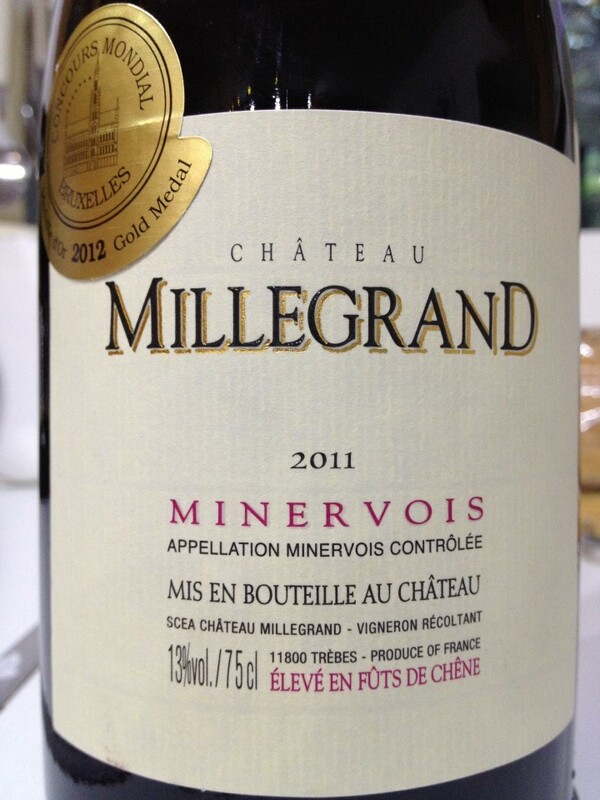 Slightly rusty colour in the glass, nice nose – hints of Chocolate. Soft mouthfeel with good fruit complimenting the Lamb Chops. 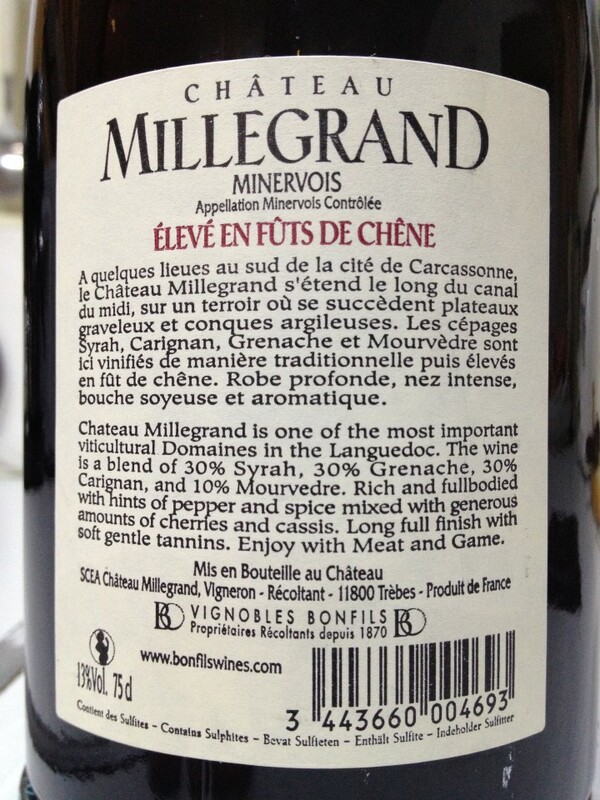 A lovely blend of Syrah, Grenache, Mourvedre and Carignan. 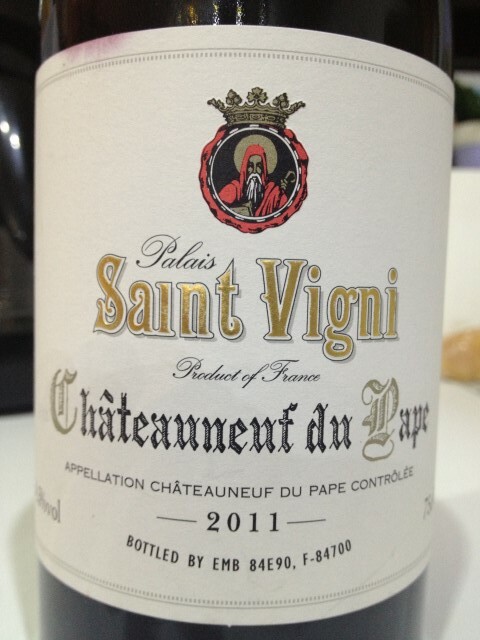 The new mansion of the Pope is an under-rated style of wine.